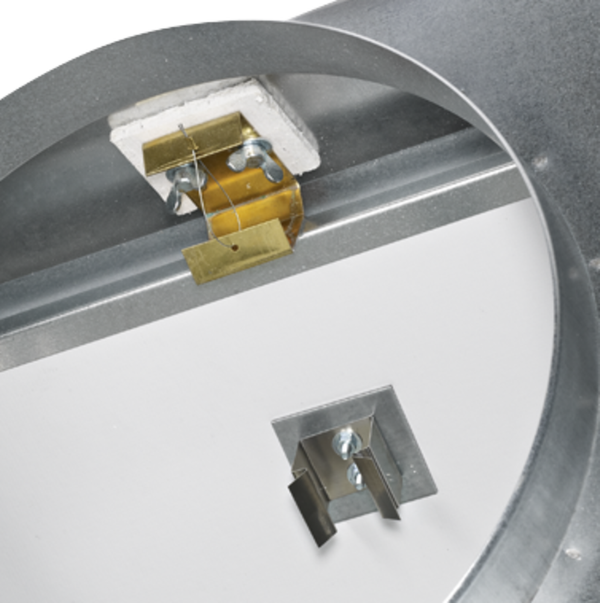 Type DLK-Fb ceiling diffusers have fixed blades. Horizontal air discharge is four-way. The supply air to room air temperature difference may range from –10 to +10 K.
To give rooms an aesthetic, uniform look, Type DLK-Fb diffusers may also be used for extract air. 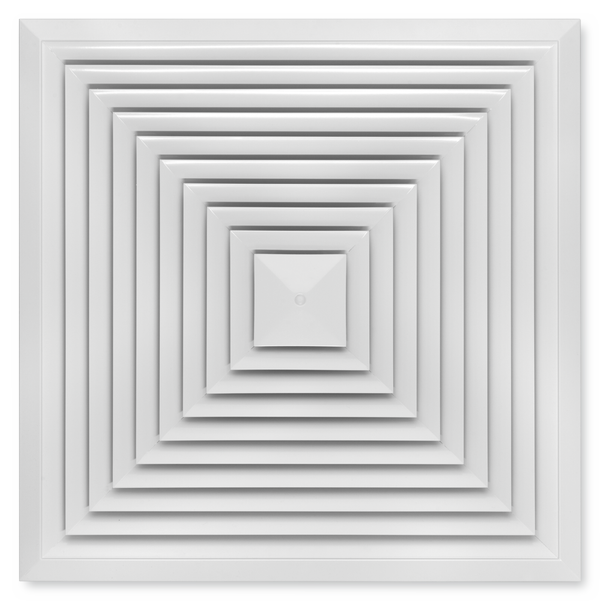 Square ceiling diffusers with integral fire barrier that ensures fire integrity in the event of a fire on the room side. Supply air and extract air variants for comfort zones. 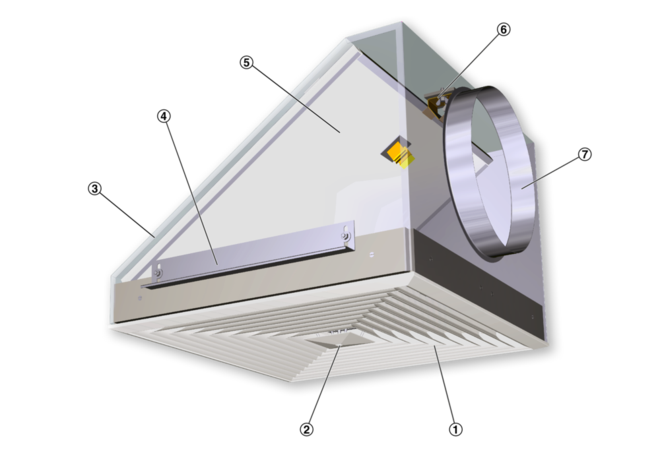 Diffuser face with fixed air control blades for horizontal supply air discharge. For flush installation into fire-resistant mineral fibre false ceilings made by Odenwald. 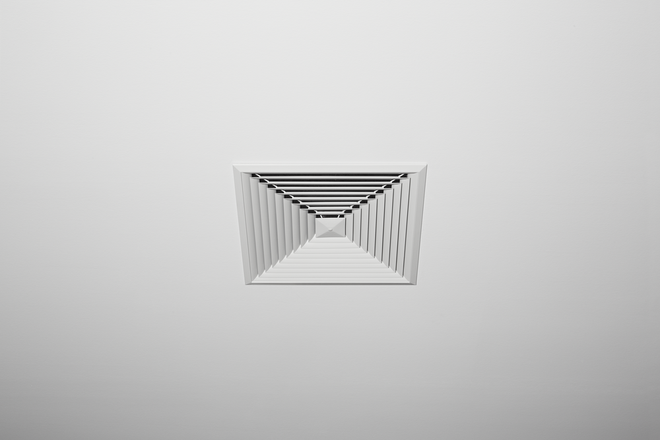 Ready-to-install component which consists of the diffuser face made of galvanised sheet steel, with fixed air control blades and a diffuser front frame with perimeter seal, a plenum box, side entry spigot, and support angles for installing the ceiling diffuser. 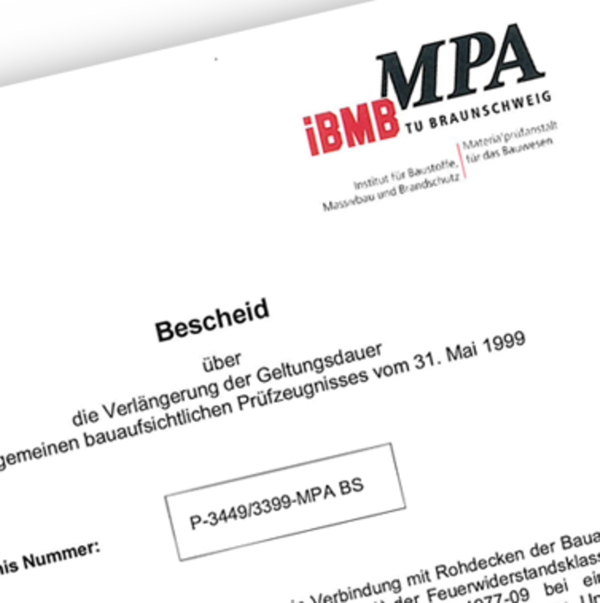 The integral fire barrier consists of a mineral fibre board and a fusible link, release temperature 72 °C.